The party’s over for the Chaudhrys! Though the top leadership of the ruling Pakistan People’s Party (PPP) has assured its major coalition partner, the Pakistan Muslim League-Quaid (PML-Q) of closing its doors on Q-leaguers deserting the party for PPP, the assurance might fall flat on its face as the deserters have made up their minds to jump the PML-Q ship anyway. “Despite the fact that the PPP’s top leadership has assured Chaudhry Shujaat Husain that it won’t welcome people like me, let me tell you we are not going to contest polls on PML-Q ticket. I may opt to contest polls as an independent candidate but not on Q league’s ticket, as the party has neither any ideology nor any programme for public welfare,” a disgruntled PML-Q parliamentarian told Pakistan Today on condition of anonymity. The source said the PML-Q had already been washed away in Khyber Pakhtunkhwa while the remaining few were waiting in their wings to leave the party. Same is the case in Punjab where almost all its MNAs are in talks with the PML-Nawaz or Pakistan Tehreek-e-Insaf (PTI). In Sindh, most PML-Q leaders had joined the Pakistan Muslim League-Likeminded (PML-LM), while its provincial president has also joined the PML-Functional along with his family. The party’s another MNA, Ayaz Shah Shirazi, has joined the PPP. In Balochistan where the PML-Q was the majority party in 2008 polls, it has now been reduced to a minor group with all the leaders set to move to greener pastures. Background interactions with the party’s legislators have revealed that the Q league would be reduced to a regional group as only five lawmakers are likely to remain with the party, as they were family members of Shujaat or family friends. Even close relatives of Shujaat, including Anwar Ali Cheema and Tariq Bashir Cheema, are already in talks with the PML-N and they would announce their decision once the assemblies are dissolved. PML-Q DENIES: However, PML-Q Secretary Information Senator Kamil Ali Agha contradicted Pakistan Today’s information, saying no lawmaker was planning to leave the party. “No legislator is going to part ways with the party. Rest assured, all are going to contest polls from our party,” he said. Asked whether a long list of Q-leaguers, including Shaikh Waqas Akram, had finalised their talks with other parties, Agha said Akram had assured him a day ago that he would stay with the party. Asked if people like Riaz Pirzada and Deewan Ashiq were also not leaving the party, Agha said they had already left the party. The source in the rebel Q-leaguers told Pakistan Today that if their matters were not settled with the PPP, other options were open for them. “We are already in talks with the PML-N and PTI,” he added. 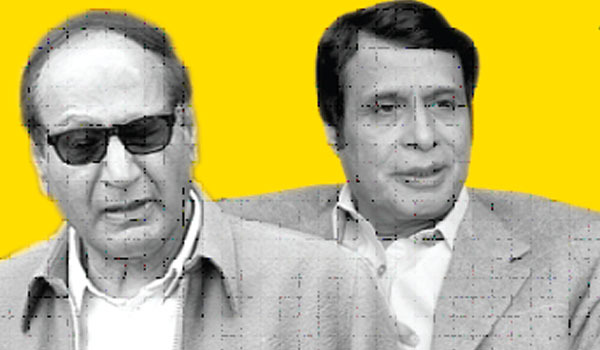 The PML-Q source said PML-Q leader Chaudhry Shujaat and Pervez Elahi were set to suffer a major dent as only five of 50 MNAs of the party were likely to stay. PML-Q MNA from NA-20 Mansehra-1 Shah Jehan Yousaf and his father Sardar Mohammad Yousaf have pledged to join the Jamiat Ulema-e-Islam-Fazl (JUI-F) in their meeting with Fazlur Rehman. Mohammad Nawaz Allai from NA-22 Battagram is also likely to join the PML-N and talks are underway for the shift. MNA from NA-27 Lakki Marwat, Humayun Saifullah Khan, is already a part of the PML-LM which has struck an alliance with the PML-N.
Amir Muqam, MNA from NA-31 Shangla, is already in the PML-N. Prince Mohayuddin, MNA from NA-32 Chitral, has pledged to leave his constituency for General Musharraf. However, he is also involved in talks with PTI chief Imran Khan and any final decision would be made prior to the polls. MNA from NA-65 Sargodha-II Ch Ghayas Mela is in talks with the PML-N and PTI simultaneously. But the biggest shock for the Chaudhrys will be the desertion by their close relative Anwar Ali Cheema from NA-67 Sargodha-IV, who is set to join the PML-N following his son. Sumaira Malik, who has been elected twice from NA-69 Khushab-I, is already part of the PML-N.
Asim Nazir, MNA from NA-77 Faisalabad-III, has also joined the PML-N. However, the PML-N has decided to award the party ticket to Chaudhry Talal, another Arain from the area and a strong candidate. Talal is the nephew of Chaudhry Akram, former tehsil nazim of Jaranwala. In that case, Asim would contest either from the PTI or as independent candidate. In any case, he is likely to win polls. Rana Asif Tauseef, MNA from NA-80 Faisalabad-VI, is also exploring his options whether to join the PML-N or PPP. He has opened parleys with both the parties. Ghulam Bibi Bharwana, elected from NA-87 Jhang-II, is also likely to join the PML-N and matters in this regard are in the final stages. Syed Faisal Saleh Hayat, elected from NA-88 Jhang-III, is also in touch with the PML-N and PTI simultaneously. However, he may opt to contest as an independent candidate. Same is the case with Shaikh Waqas Akram, MNA from Jhang, who has made up his mind to join the PPP and all matters have been finalised in this regard. However, sources close to the MNA said if the PPP did not accept him, he might opt for contesting polls as an independent candidate. Sahibzada Mehboob Sultan, MNA from NA-91 Jhang-VI, is also mulling his options to jump the PML-Q ship. Sources close to the MNA said talks were continuing with the PPP, PML-N and PTI. Farkhanda Amjad Warraich, elected from NA-92 TT Singh-I, will contest through her own party – the Pakistan National Muslim League (PNML). Riaz Fatyana may also opt to be an independent candidate. The PML-N would field Chaudhry Asadur Rehman, brother of Justice (r) Khalilur Rehman Ramday. Riaz Fatiyana is likely to join the PPP. He may also opt for PTI. Liaquat Abbas Bhatti (NA-103) and Sardar Talib Nakai (NA-142) are among the few parliamentarians who might stay with the Chaudhrys. Bhatti was elected from Hafizabad, while Nakai has been elected from Kasur. Both are close friends of Chaudhry Wajahat Hussain. Deewan Ashiq Hussain, elected from NA-153 Multan-VI, has to only make a formal announcement to join the N league, as all other matters have been finalised. Siddique Khan Baloch, MNA from NA-154 Lodhran-I, is also likely to join the PML-N, while Raza Hayat Heraj, elected from NA-156 Khanewal-I, is likely to join the PTI. His cousin Hamid Yar Heraj will join the PML-N. He is also in touch with Yousaf Raza Gilani, who had appointed him a special adviser and ERRA chairman. Pir Mohammad Aslam Bodla from NA-158 Khanewal-III has already joined the PML-N, while Malik Nauman Ahmed Langrial, elected from NA-163 Sahiwal-IV, is also in talks with the PML-N.
Khawaja Sheraz Mehmood, elected from NA-171 DG Khan-I, is in talks with the PPP, while Legharis from DG Khan are all set to join the PML-N. In such a case, the Leghari-Dareshak-Mazari alliance may win polls from DG Khan and Rajanpur districts. Sardar Bahadur Khan Sehar from NA-181 is all set to join the PPP, while Riaz Hussain Pirzada from NA-186 Bahawalpur-IV has already joined the PML-N.
Ghaus Bakhsh Mehr from Sindh has joined the PML-F.
As far as Balochistan is concerned, Ahmadan Bugti has no other option but to stay with the party. Jam Mohammad Yousaf has already finalised his talks with the PPP and he would join the party soon. Bhains Chors Gai Chors and inshort Bahen Choooo……!